The Best Feng Shui blogs from thousands of top Feng Shui blogs in our index using search and social metrics. Data will be refreshed once a week. Also check out Feng Shui Podcasts and Feng Shui Youtube Channels list for Top videos on Feng Shui. Feng Shui newsletter is a comprehensive summary of the day's most important blog posts and news articles from the best Feng Shui websites on the web, and delivered to your email inbox each morning. To subscribe, simply provide us with your email address. Los Angeles About Blog Feng Shui and Art expert Dana Claudat brings you daily inspiration, home styling, art wisdom and wellness tips. Feng shui everything you can imagine- beauty, art, design, creativity, prosperity, food, fashion & even pets. Facebook fans 14,893. Twitter followers 3,718. Austin, TX About Blog The Red Lotus Letter weekly feng shui ezine is the web's largest weekly ezine. Kathryn Weber has over 20 years of feng shui study, practice and professional consultation. Follow to learn how to attract success, prosperity and abundance with the ancient art of feng shui. Facebook fans 12,180. Twitter followers 3,708. Vancouver, BC About Blog Rodika Tchi is a feng shui consultant with Tchi Consulting and the feng shui expert. Explore the feng shui use of colours, crystals, good interior design with feng shui, good feng shui bedroom decor, improve your health with feng shui and more. Follow this website for Feng shui tips for your home, office, garden and all areas of your life - from career to love life. Facebook fans 42,824. Twitter followers 3,006. About Blog Feng Shui Beginner is a platform for all newbies to learn about the power of geomancy and also for the advanced to share their knowledge and experiences. Facebook fans 68,650. Twitter followers 36. San Francisco, CA About Blog A place dedicated to the news, discussions about art and science behind this ancient Chinese system of aesthetics known as Feng shui. Facebook fans 1,187,693. Twitter followers 545,312. Mountain View, CA About Blog Comprehensive up-to-date coverage for feng shui, aggregated from news sources all over the world by Google News. Facebook fans n/a. Twitter followers 212,806. New York City & Los Angeles About Blog Anjie is a registered Architect, Feng Shui expert and Amazon best selling author of 108 Ways to Create Holistic Spaces: Feng Shui and Green Design for Healing and Organic Homes. She creates and enhances balance and harmony by designing spaces with an understanding of sustainability and informed by the ancient practice of feng shui. Facebook fans 1,268. Twitter followers 2,254. About Blog Moni Castaneda offers Feng Shui Online Courses, Local and Long Distance Feng Shui Consultations, Feng Shui books, MP3 recordings and products. Moni's mission is to take the confusion out of Feng Shui, with the Nine Steps to Feng Shui® System, an easy, by-the-numbers method to learn and practice Feng Shui. Facebook fans 4,876. Twitter followers 404. Southern California About Blog Classical Feng Shui analysis for homes and businesses. Kartar Diamond's consulting includes design projects and house-hunting, local and long distance. About Blog Heaven and Earth follows the Black Sect Feng Shui, which essentially deals with the interiors of the home. Kanika Babal is an Intuitive Feng Shui practitioner and healer, combining the principles of Feng Shui with her passion for color and design, helping clients to create environments that best support their lives and empower them to realize their fullest potential. Facebook fans 219. Twitter followers n/a. About Blog Clear began his feng shui practice began there in 1995, and blossomed when he moved to San Francisco in 1996. He's a natural at feng shui; as a Libra-Hare he's astrologically gifted for this work. To his work he brings systems and design skills in organizing, maintenance, and horticulture. He works residential, retail, office, and landscape. New York City Manhattan, NY About Blog Certified full-time Feng Shui Expert Laura Cerrano is the CEO and founder of Feng Shui Manhattan. Laura advises and helps hundreds on issues of personal, proffesinal and spiritual transformation. This includes improving neuroplasticity, fertility treatments and sleep, offering assisted healing during chemotherapy, reducing stress, anxiety and much more. Facebook fans 364. Twitter followers 365. About Blog Thriving Spaces Feng Shui is created to help people change their lives by changing the energy in their living and working spaces. Follow this blog to learn more about Feng Shui and how it can impact your life in positive ways. Toronto About Blog Laura Morris is a certified Feng Shui consultant, artist, and designer. Through her articles, workshops, videos and consultations, Laura has guided thousands of people to shift their ch'i and revitalize their living spaces, increasing both energy flow and harmony. Laura believes that by combining awareness, Feng Shui and creativity you can transform both your space and your own personal energy. Facebook fans 5,415. Twitter followers 1,220. San Francisco Bay Area About Blog Feng Shui Style is a boutique interior design firm in Silicon Valley. They improve the homes & fortunes of our clients with ancient wisdom & modern style. Follow this blog to read Feng Shui Tips, design ideas, research and much more. Facebook fans 446. Twitter followers 8,638. San Diego CA About Blog White Lotus Holistic Spaces does spatial design/re-design emphasizing sustainability and the ancient practices of Feng Shui and space healing. Helen is a Sustainable Space Designer and Classical Feng Shui Expert. Facebook fans 655. Twitter followers 455. Las Vegas, Nevada About Blog Red Carpet Moving Company provides the finest door-to-door, domestic, and international relocation service available. We are one of the best rated movers in Las Vegas. They also provide feng shui tips and tricks for you. Facebook fans 215. Twitter followers 285. Bergen County NJ & Beyond About Blog Lois Kramer-Perez helps her clients tap into how they are feeling in their space, encompassing mental, physical and emotional. Lois has developed simple, effective techniques that help her clients sharpen their awareness, clarity, and empowerment through feng shui practices, personal meditative clearing, and environmental space clearing. Facebook fans 727. Twitter followers 404. About Blog Feng Shui Institute of America teaches cures and recommendations based on scientific research which validates why feng shui works. Their aim is to educate general public on the healing power of feng shui both physically and mentally. Follow this blog for free online feng shui courses, classes, training, certification. California, USA About Blog Suzee Miller has been active in Business, Feng Shui and Real Estate for over three decades. She is a graduate of the American Feng Shui Institute, the Lotus Institute of Feng Shui, Grand Master Yap Cheng Hai’s Feng Shui Center of Excellence in Malaysia and Grand Master Mantak Chia’s Universal Healing Tao Center of Thailand. Facebook fans 14,851. Twitter followers 3,575. CityLand Shaw Tower About Blog Master Hanz has done a diploma as a Feng Shui Master Practitioner, specializing in Feng Shui, Bazi or Chinese Astrology and Zi Wei Dou Shu (Emperor Purple Star Astrology) which specializes in decoding a person’s life path and destiny through the use of their birth date and birth time. He also does Tarot Reading, Chinese Astrology, Face Reading, Chakra & Aura cleansing etc. Facebook fans 72,448. Twitter followers 2,856. Los Angeles, CA About Blog Feng Shui For Architecture is a full-scale, "boutique" Feng Shui consulting firm and training center that has been trailblazing the field of Scientific Feng Shui applications to homes, offices and businesses in the U.S. and Europe since 1997 when it was first created in Los Angeles by Simona F. Mainini, Dr. Arch. Facebook fans 910. Twitter followers 286. Vancouver About Blog Marlyna Los and Feng Shui Consulting provides concrete recommendations, strategies and residential & business Feng Shui for private homes, new construction, renovations, property and home selections, property developments, retail and commercial business, office planning, home sales and staging Feng Shui courses and workshops. Facebook fans 3,433. Twitter followers 631. Cupertino, California About Blog Hipster Feng Shui is lifestyle blog for those who seek the very basic and simple things in life as a human being including inner peace, balance, happiness, safety, love, strong relationships, harmony, good health, fortune, and career growth all while having fun. Facebook fans 44,997. Twitter followers 82. About Blog Tulipa Xanadu, offers non-religious personal consulting services on issues relating to your everyday Life and Health, Love and Family relationships, Wealth and Career development, including Feng Shui to help you improve your life for the better by finding out your true potential and what you are set out to be. Los Angeles, CA About Blog Feng Shui Nexus is a blog that uses science, experiences, and observations to interpret the ancient wisdom of Feng Shui. It uses personal experiences and scientific facts to share Feng Shui tips, ideas, and insights. Facebook fans 1,898. Twitter followers 253. About Blog Shelly Singh does Personalised Feng Shui Readings, Home and Office Consultations, Site Consultations and much more. Facebook fans 314. Twitter followers n/a. About Blog Tara Haba is a certified Feng Shui Consultant and Reiki Practitioner. She have a passion for energy work and interior design and feel blessed that she is able to use these gifts to assist others in creating their own bliss. About Blog Adrien is a Feng Shui practitioner from Singapore. She have studied Feng Shui for at least five years. She practices Feng Shui in my house, office on myself and my family. About Blog A blog about Feng shui tips, tricks and how it van change the environment around you. Minneapolis, MN About Blog Carole J. Hyder is an internationally recognized consultant, speaker, teacher, author and trainer in the field of Feng Shui. Her Integrated Spaces Strategy combines ancient practices with modern research to create superior environments in the healthcare industry. Facebook fans 255. Twitter followers 883. Dubai, United Arab Emirates About Blog Elements Fengshui, is the first licensed firm established in the UAE, offering consultancy services in the field of Feng Shui. The company deals in selling of all well being products that are not only from natural sources but our specially cleansed and energised. Facebook fans 1,287. Twitter followers 77. About Blog Yvonne's professional experience and education combines expertise in the areas of promotional marketing, visual merchandising, and Feng Shui, the ancient art of living in harmony with the environment for health, wealth, wellness, creativity and happiness. She incorporates Feng Shui design principles into both residences and work places---from small businesses to large corporations. 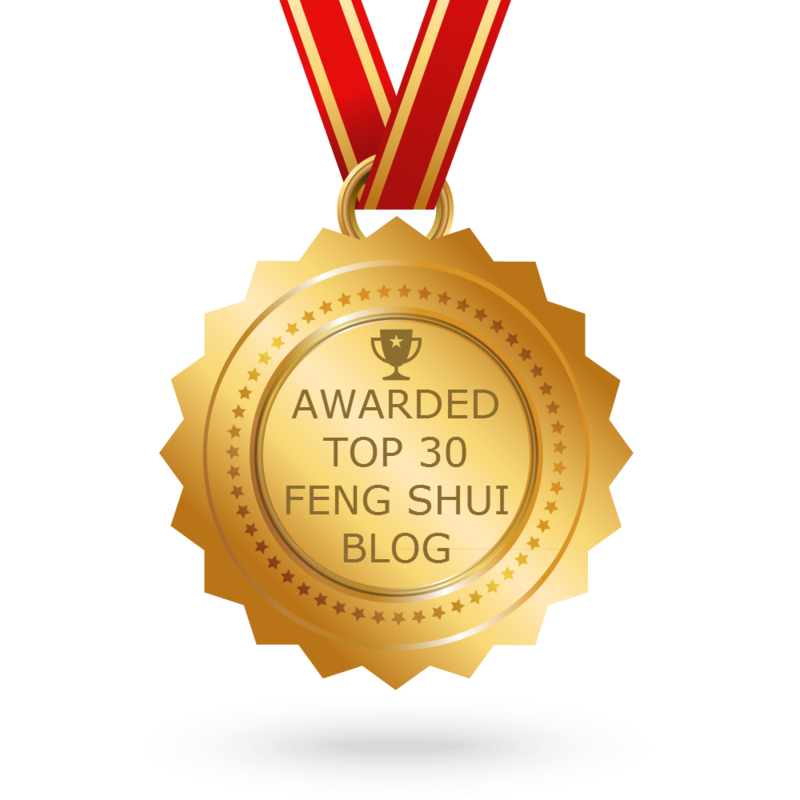 CONGRATULATIONS to every blogger that has made this Top Feng Shui Blogs list! This is the most comprehensive list of best Feng Shui blogs on the internet and I’m honoured to have you as part of this! I personally give you a high-five and want to thank you for your contribution to this world.